The General Data Protection Regulation will apply from 25 May 2018, when it supersedes the UK Data Protection Act 1998. It is significant and wide-reaching in scope, the new law brings a 21st century approach to data protection. It expands on the rights of individuals to control how their personal information is collected and processed, and places a whole new range of new obligations on organisations to be more accountable for data protection. GDPR compliance is not just a matter of ticking a few boxes; the Regulations demand that you are able to demonstrate compliance with the data protection principles. This actually involves taking a risk-based approach to data protection, just like Health & Safety, ensuring appropriate policies and procedures are in place to deal with the transparency, accountability and individuals’ rights provisions, as well as building a workplace culture where data privacy and security is not just a passing phrase. With an appropriate compliance framework in place, not only will you be able to help avoid significant fines and reputational damage, you will also be able to show customers and suppliers that you are trustworthy and responsible. GDPR applies to personal data. This is any information that can directly or even indirectly identify a person, and can be in any format, electronic or physical. The Regulation places stringent controls on the processing of special categories of personal data. This also includes genetic and bio metric data. Name, Address, Email address, Photo, IP address, Location data, Online behaviour i.e. cookies, Profiling and analytics data. Race, Religion, Political opinions, Trade union membership, Sexual orientation, Health information, Bio metric data, Genetic data. GDPR applies to all European organisations – whether it’s a commercial business, charity or public authority – that collect, store or process personal data of individuals residing in Europe, even if they’re not EU citizens themselves. 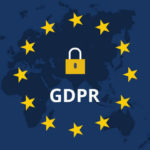 Organisations based outside Europe that offer goods or services to EU residents, monitor their behaviour or process their personal data will also be subject to GDPR. Service providers or data processors that process data on behalf of an organisation come under the remit of the GDPR and will have specific compliance obligations. For example; a company that processes your payroll or a Cloud service provider that offers data storage. Data protection impact assessments (DPIAs) for high-risk processing operations. Organisations have to be clear and transparent as to how personal data is going to be processed, by whom and why. Personal data must be secured against unauthorised processing and against accidental loss, destruction or damage.